Splatoon 2 Review - Funky Fresh or Stale Squid? Splatoon 2 Review – Funky Fresh or Stale Squid? It’s been two years since we first became squid kids – Splatoon launched on Wii U back in 2015 and, while it didn’t exactly set the world on fire, it was well received and fans felt inspired seeing Nintendo actually developing and continuing to support a multiplayer shooter. 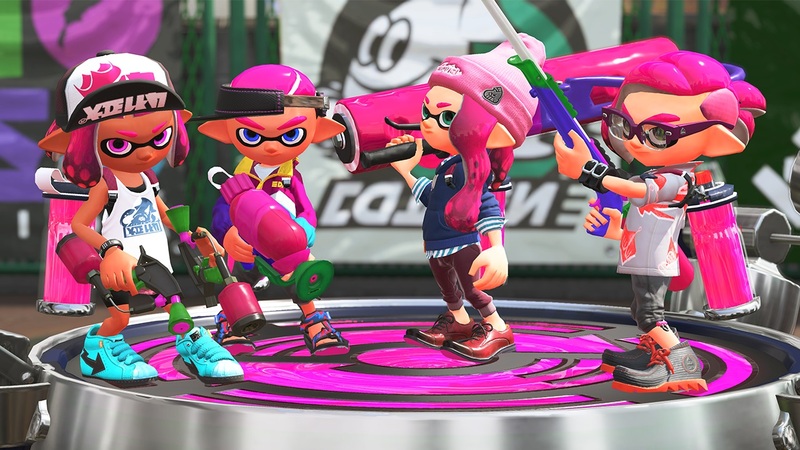 Fast forward two years and the Wii U is quickly becoming a distant memory, but Splatoon is making a resurgence – the Wii U held the squid kids back, and Splatoon 2 is here to set the record straight. 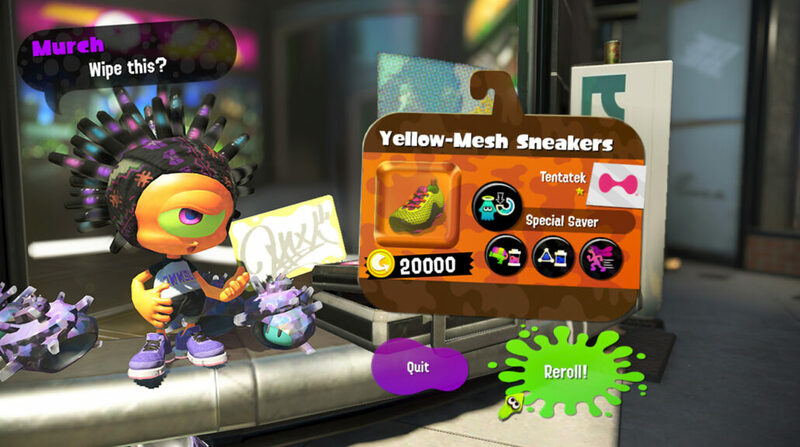 If you’re new to the world of Splatoon, it takes place in the distant future, where all humans have died out but cephalopods (squids and octopi) have taken to the land, adopted a more human-like appearance and decided to continue the culture of street fashion and pop idols. The new spineless society passes time primarily by hanging out, wearing new clothes, and killing one another with colored ink in training for the inevitable war with the Octarians. The colored ink is an Inkling’s lifeblood (well, not literally, but also yes, literally.) and while swimming through it, they speed up and absorb the ink, which they can then shoot out, spreading it on the ground and taking out foes. Everything takes place two years after the events of the first game – shops on the high street have changed, the hot pop idols of the day have taken a back seat to the most off-the-hook new duo, and of course, fashion has moved on a fair bit. 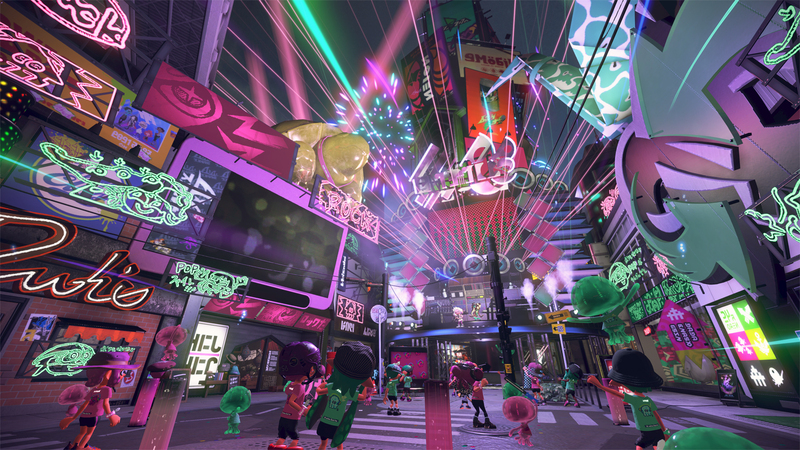 Exploring the hub of Inkopolis, you’ll find shops for clothing and weapons, local and online multiplayer lobbies, helpful characters that’ll help augment your gear – and all of this is great, just that, it’s incredibly familiar. Inkopolis may have changed style, but in terms of substance not much has shifted here, and the two areas where it is most evident that Splatoon 2 is a sequel are in the single player content and classic Turf War multiplayer mode. The five worlds in the single player story are great – inventive, fun, challenging, and some of them are surprisingly long and can be difficult to tackle. Each stage is essentially a series of small platforming/shooting challenges, linked together by warp points and filled with hidden collectibles. Most often you’ll find yourself with a small battle arena, filled with enemy ink and the bumbling Octarian foes, and you’ll have to dispatch them all, or find a key, in order to find the next warp point forward. The single player mode is, honestly, great. Each world has up to six stages and a boss, and while things might start feeling a wee bit familiar to those who played the original Splatoon, to anyone who hasn’t it’s a great experience. Anyone that has already played the game will have long since started taking this for granted, but Nintendo’s ability to take the shooter genre and infuse it with platforming elements, thanks to the genius mechanic of shooting and swimming through your own ink – up the sides of platforms, around obstacles to take foes by surprise – it’s a simple mechanic, that can be used in a shocking variety of ways. And those uses are best capitalized on in competitive multiplayer, of course. Turf War is exactly the same as it was in the first Splatoon, just with a few new maps to jump into – essentially, instead of the game being decided on kills and deaths, the winner is the team that has most of the map floor covered in their colour ink – a nice fact is that you’d be doing this anyway, as swimming through your ink on the floor is faster than walking, and enemy ink slows you down and damages your health. With a quick glance at the map, you can see where enemy ink is – and therefore the enemies. With a quick glance at the floor, you can determine where your team has been, where they’re going, and where your foes might target next. It’s a really genius system. But then, that’s all things we’ve had since the original – all Splatoon 2 actually adds are new Special attacks for all of your loadouts, some new weaponry, and some new maps. Not exactly a bad selection, more than enough to justify a sequel, but whether or not it’ll be enough to keep fans who played plenty of the original game satisfied is another question – even several of the multiplayer maps return from the previous game. So what’s here for returning players? Well, aside from the small, iterative new features and cosmetics, there’s Salmon Run, a brand new multiplayer mode. Essentially it plays out like Call of Duty Zombies, or in fact any other wave-based game mode in multiplayer shooters. You defend a small, grimy island from a Salmonid invasion – there’s a variety of “Boss Salmonids” in addition to the useless standard variety, and they’re interesting, more difficult to defeat, often requiring precise throws of your bombs or attacking specific, difficult-to-reach weak points. Defeating a boss Salmonid, while holding off the rest of the Salmonid horde of course, will spawn Golden Eggs, which must be rescued by your team, grabbing several of them in each wave. It’s not the most inventive new game mode, especially considering how much it resembles wave-based game types in other shooters, but the Splatoon style of gameplay and mechanics make it for a fairly refreshing game mode – though I do wonder how much time players will be putting into it. One of the single biggest improvements over the original game, even if it is not immediately obvious, is the polish and sheen on the graphics. Paint on the floor sparkles in the sunlight, the lighting makes everything feel more tangible, and all of the characters and outfits look more believable and, more importantly, stylish than ever before. At first Splatoon 2 might look like a small graphical upgrade over the original, but comparing the two side-by-side reveals a wealth of refinements and upgrades. But, is all of this iteration a bad thing? Not necessarily, in my playtime with Splatoon 2, I’ve found the online multiplayer to be incredibly addictive, and the cycle of purchasing and upgrading pieces of gear has kept me glued to online lobbies. The single player story is a fun experience, as is Salmon Run, but the online multiplayer is a truly wonderful ride. 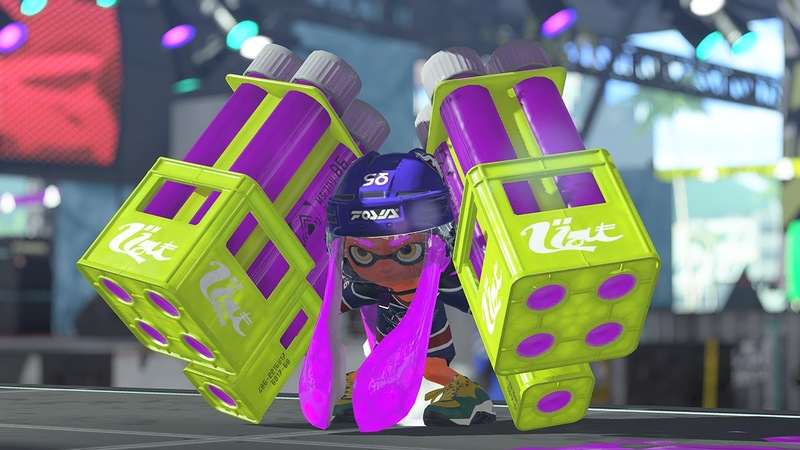 Refining skills, getting kills and wiping out opponents as your cover the entire map with your team’s ink is absolutely wonderful. Review code provided by the publisher. You can buy the game on Amazon.